Love is easy to see - it comes from the eyes and though one's soul. With Meriam and Samer, this is no exception. Their adoration and devotion to one another shines through so vividly. They share the type of romance you read about in old novels - timeless, passionate, loyal... Their cozy couple's shoot was one of the sweetest things to take part in! 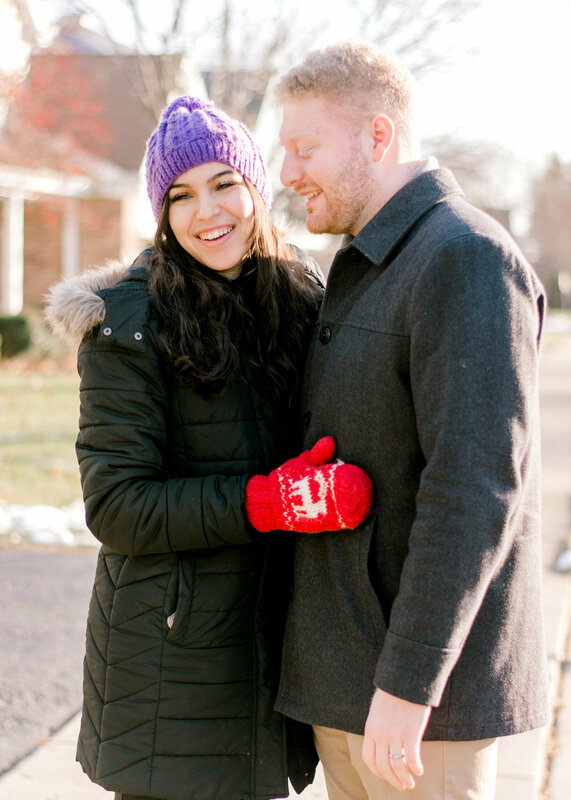 Meriam and Samer were nothing short of adorable - sipping tea in cozy socks and cuddling the cold Chicago winter away!